Jonny Sun is an architect, designer, engineer, artist, playwright, and comedy writer who originally calls Toronto home. Sun is currently a doctoral student at MIT, a fellow at the Berkman Klein Centre for Internet and Society at Harvard, and a creative researcher at the Harvard metaLAB, where he studies social media and online community. He’s a graduate of the Yale School of Architecture where he was awarded many prizes and fellowships and is an honours graduate of the Infrastructure program in Engineering Science at the University of Toronto. As impressive as all of those credentials are, for almost 500,000 of his followers on twitter, Jonny Sun mans a clever account and is at the forefront of new forms of sparse, effective communication, language, and terminology. His new, bestselling graphic novel is something of a meditation on the social media landscape. 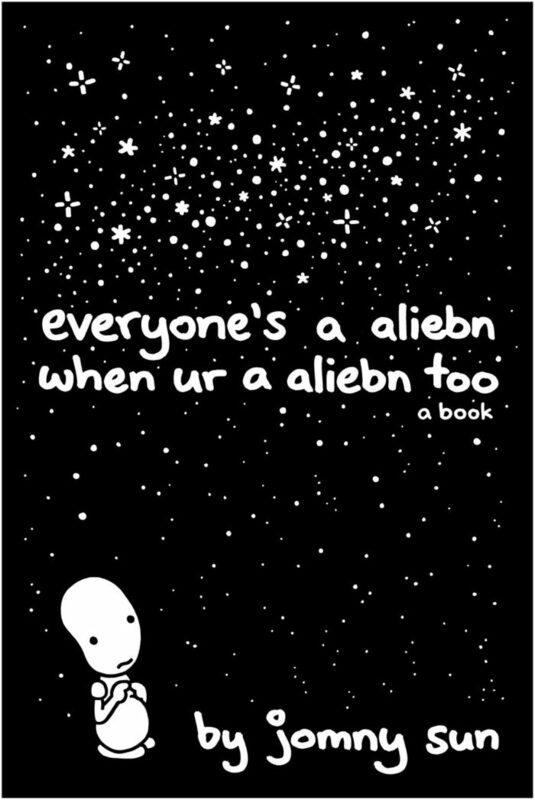 It’s called everyone’s a aliebn when ur a aliebn too and is available now via Harper Perennial. Jonny and I met in a streetside park in downtown Toronto to discuss his relationship with the city he once called home, the importance of Second City and improv and sketch comedy to his outlook on life and his academic pursuits, his comedic influences, the state of social media and communication, his book, and much more. Sponsored by Pizza Trokadero, the Bookshelf, Planet Bean Coffee, and Grandad’s Donuts.